We are now at the half-way point in the legislative schedule. A lot has been accomplished so far, but there is still quite a bit to do before we are finished. Town Meeting gives us a chance to get back in touch with our communities, so I hope we were able to connect there. My legislative summary report that was available at Town Meeting can also be found online at my website, www.MikeYantachka.com. A major topic of interest that has generated a lot of emails is Senate bill S.199 which does away with the philosophical exemption for childhood vaccinations while retaining the religious and medical exemptions. I have been listening to arguments on both sides of the issue. To me it is a question of balancing the rights of parents to refuse a medical treatment for their child versus the threat to public health that such exemptions may pose. Whichever position has more weight, it is important to know what the bill does and does not do. It retains exemptions on religious and medical grounds. Courts have treated religious objections differently than philosophical ones, and some medical conditions preclude the administration of certain vaccines. It requires children entering public school to be vaccinated for certain diseases. 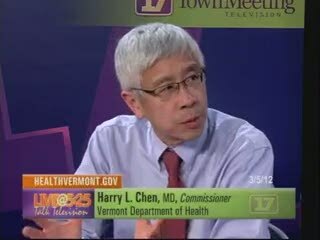 The particular immunizations are designated by the Vermont Department of Health appropriate to the age of the child. It establishes a pilot program that would have the goal of making vaccines available at no cost to all Vermonters and to reduce the cost at which the state may purchase vaccines. The arguments against the bill include individual rights of parents to control what medical treatments their children receive, the possible dangers that vaccines may pose, and anecdotes of reactions to vaccinations. It has to be acknowledged that a small minority of individuals, children included, do suffer an adverse reaction to some types of vaccines, although the type of vaccine causing the reaction varies with the child. It is also true that vaccinations are not 100% effective; so some kids may get pertussis, for example, despite being immunized. On the other hand, the responsibility of the public health system is to protect the public from health threats, which include infectious diseases. There is no doubt that infectious diseases are still around and that many more people would suffer if vaccines were not available. It is also true that if a child brings an infectious disease to school, it puts others at risk, for example, someone who is pregnant or immune compromised. When I was a child, polio was the scourge of the day. I remember being taken by my mother to the local American Legion hall where vaccines were being administered to the public. Today, polio is virtually nonexistent in the United States. However, it still exists in other parts of the world, and a few cases in the 90’s occurred in the U.S. as a result of being carried from abroad. The fact that some infectious diseases are so rare today is due in large part to the availability of vaccines. That said, I’ll be listening to all points of view and learning as much as I can to inform my vote on S.199.